The job of a professional jeweler is to find the proper average size that will feel good on a customer's hand during all four seasons of the year in the area where the person lives. 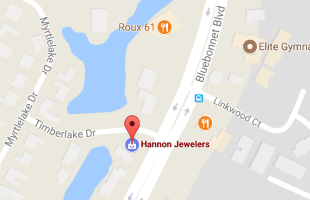 For this reason, Hannon Jewelers offers a free ring adjustment to our customer's new engagement rings to allow new couples time to become familiar with the changes of their finger size, depending upon the season. Try our free ring sizer here.